Coal Secretary Anil Swarup was appointed school education secretary as part of a top-level bureaucratic reshuffle effective from Wednesday. As many as 19 new secretaries have been appointed in various central government departments. Swarup, a 1981 batch Indian Administrative Service officer, has been appointed as secretary, Department of School Education and Literacy, an order issued by Department of Personnel and Training said. Susheel Kumar has been appointed new coal secretary. He is at present secretary, Department of Border Management, Ministry of Home Affairs. Sanjeevanee Kutty, special secretary and financial adviser in the home ministry, has been appointed as secretary, Department of Border Management in place of Kumar. National Highways Authority of India Chairman Raghav Chandra has been named secretary, National Commission for Scheduled Tribes. Yudhvir Singh Malik, special secretary in Niti Aayog, will be new chairman of NHAI in place of Chandra. 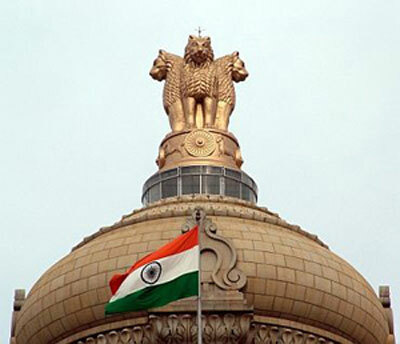 Senior bureaucrat Rajiv Yadav will be secretary, Ministry of Parliamentary Affairs in place of Prabhas Kumar Jha, who has been appointed as Secretary, Department of Official Language. Yadav, who is Secretary in Department of Sports, has been replaced by Injeti Srinivas, director general of Sports Authority of India. Anoop Kumar Srivastava, who is secretary, Department of Official Language, will be secretary, Ministry of Tribal Affairs. Ameising Luikham, secretary, Department of Public Enterprises, has been appointed as officer on special duty in Minority Affairs Ministry. He will take over as secretary of the same department on superannuation of present incumbent Rakesh Garg, the order said. Seema Bahuguna, special secretary and financial adviser in Department of Rural Development, will be new secretary, DPE. Senior IAS officers Preeti Sudan and K P Krishnan have been appointed as secretaries of Department of Food and Public Distribution, and Ministry of Skill Development and Entrepreneurship. Sudan is special secretary in women and child development ministry and Krishnan is special secretary, Department of Land Resources. N S Kang, Secretary and Director General in National AIDS Control Organisation, has been named as Secretary, Department of Empowerment of Persons with Disabilities. Rajeev Kapoor, Director of Mussoorie-based Lal Bahadur Shastri National Academy of Administration -- which provides training to bureaucrats, has been appointed secretary, Ministry of New and Renewable Energy. Senior IAS officer Upma Chaudhary, who is at present in her cadre state Himachal Pradesh, will be Director LBSNAA. UPSC Secretary Asha Ram Sihag has been appointed as Secretary, Coordination and Public Grievances in Cabinet Secretariat. His wife Bharati S Sihag has been named as OSD, Department of Fertilisers. She will take over as secretary in the same department on superannuation of the present incumbent Vijay Shankar Pandey. Kewal Kumar Sharma has been named as Secretary, Department of Higher Education. He will first take over as OSD in the same department before taking over as secretary on superannuation of Vinay Sheel Oberoi. Besides these 19 secretaries, the Appointments Committee of Cabinet has approved extension in tenure of R K Jain, member of National Disaster Management Authority, for six months after November 30.